Family Sanctuary – Our First Radio Show About Divine Mercy for Moms! Divine Mercy for Moms on the Radio! 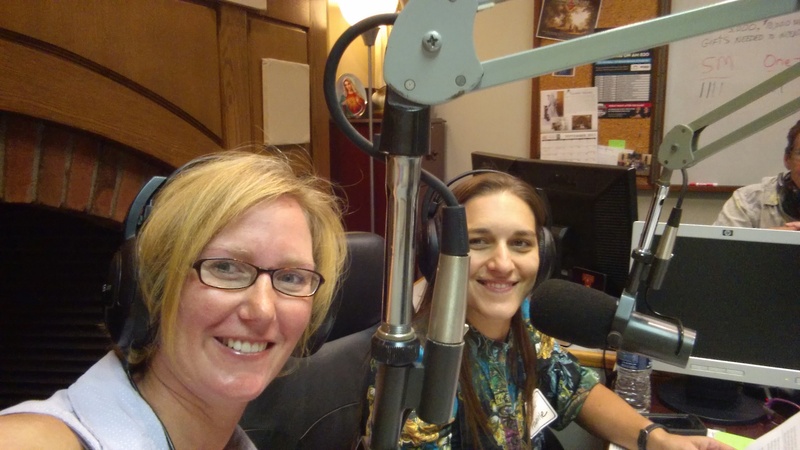 Recently Emily and I had a great time at our favorite Catholic Radio Station, AM820, St. Gabriel Radio on the Family Sanctuary show with MaryAnn Jepsen talking about Divine Mercy for Moms: Sharing the Lessons of St. Faustina. Emily and I are no strangers to Catholic radio, as we both have hosted programming and been guests for shows as well as Emily host daily reflections at 2:55 pm called “A Mother’s Moment.” We hope you can take a moment to listen and learn more about what we have been up to!